The holidays are quickly approaching! With Thanksgiving less than two weeks away (!) shopping days are growing fewer and fewer. 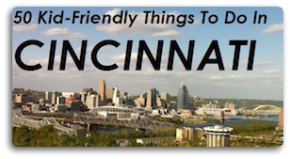 At Family Friendly Cincinnati we love shopping local, so we decided to put together a post with ideas from some of our favorite local stores. You’ll definitely be able to find something for everyone on your list at these great local stores. 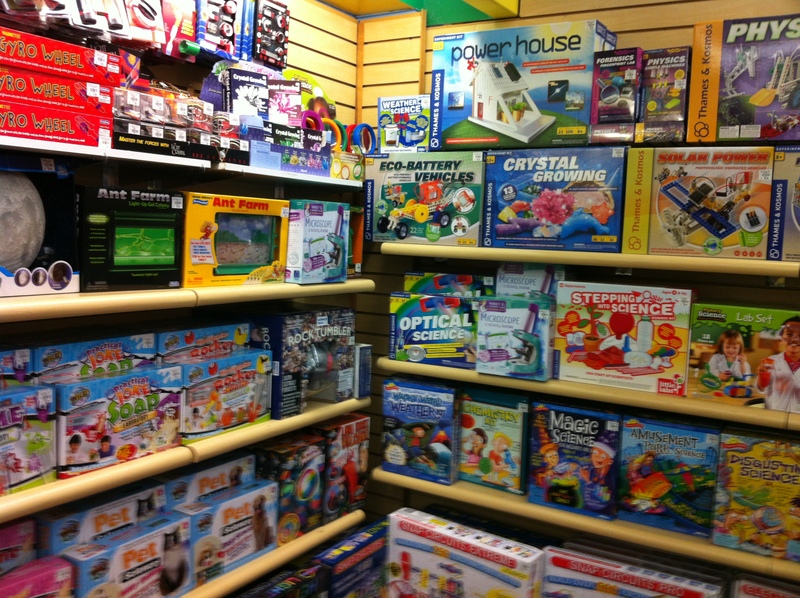 One of our favorite stores in Oakley is blue manatee bookstore. 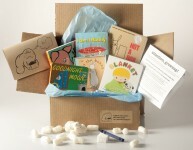 We think that one of their blue manatee boxes are the perfect gift for kids! They put together themed boxes with books, artwork, crayons, and, of course, a box. 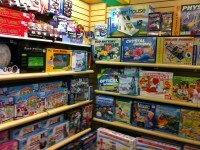 Just down the street from blue manatee is King Arthur’s Court Toys, another one of our favorites. While you can get pretty much anything there, we suggest taking a look at their Lego collection. They have tons of Legos, so if you’re starting a collection or supplementing an often used one, you’ll find something new. We love Stoney’s Gifts in Covington. They have a bunch of great things for little girls, but these Tutus are adorable. 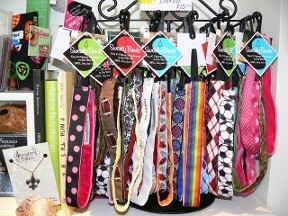 The Busy Bee Boutique off Branch Hill Guinea Road in Loveland has a lot of great gifts for girls of any age, but we think Sweaty Bands are great. There are so many colors and patterns that all your girls will love them. 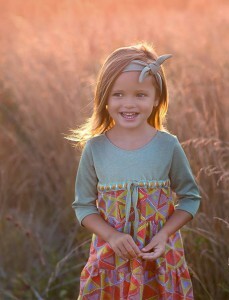 Mary Helen Clothing is great for the girl who loves bright colors and patterns. We think this Pheobe dress is adorable, but there are so many more outfits on the website. 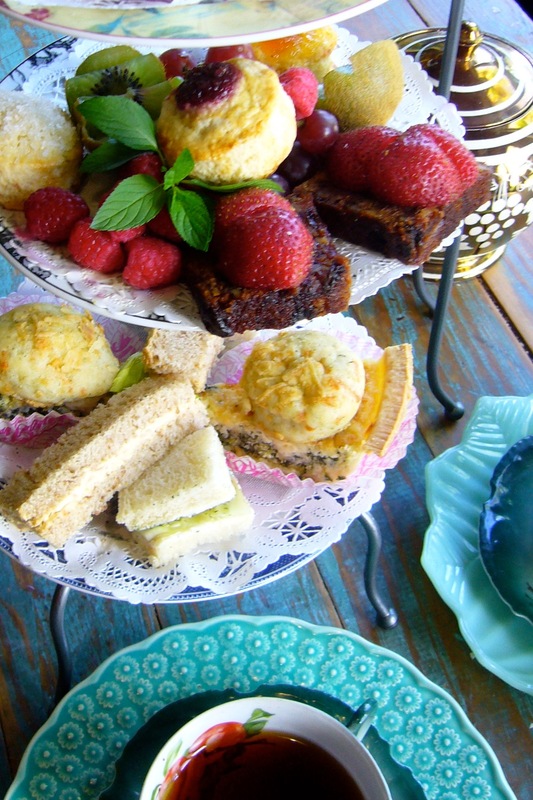 The BonBonerie is perfect if you want to treat your kids to a tea party. They won’t get to unwrap anything, but make it a fancy day and they’re sure to remember it. If your kids like theater there are a bunch of great options both before and after Christmas. How the Grinch Stole Christmas is at the Aronoff from Nov. 27 – Dec. 1. It’s a short run, but great to get into the spirit of the season. Around the World in 80 Days opens at Ensemble Theatre Cincinnati on December 4 and runs through January 4, 2014, and looks like it’s going to be a fun show for kids. Finally, The Carnegie & Kentucky Symphony Orchestra are presenting The Sound of Music from January 17 – 26, 2014. It’s a lightly staged production, and if your kids like the movie they’re sure to love it. 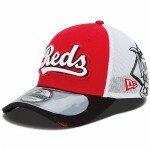 For Reds fans, a visit to the Reds Hall of Fame, memorabilia, or team gear is always a safe bet. We think this hat is pretty cool for any sports fan. If you’re a sports family (or just want to try something new) get tickets to a Cincinnati Cyclones game. Reach Magazine currently has a deal for a family 4-pack so you can save money for more stocking stuffers. Hobby Villa in Crescent Springs has a great selection for kids who like building model cars. 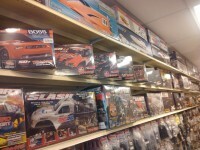 They also have remote control cars, planes and more. Seven Oaks Farm in Hamilton is an Alpaca farm with a bunch of unique gifts. We think these alpaca socks are cute, but they also sell hats, stuffed animals and more. If you want something unique but not made of alpaca wool, check out Park + Vine in Over-the-Rhine. 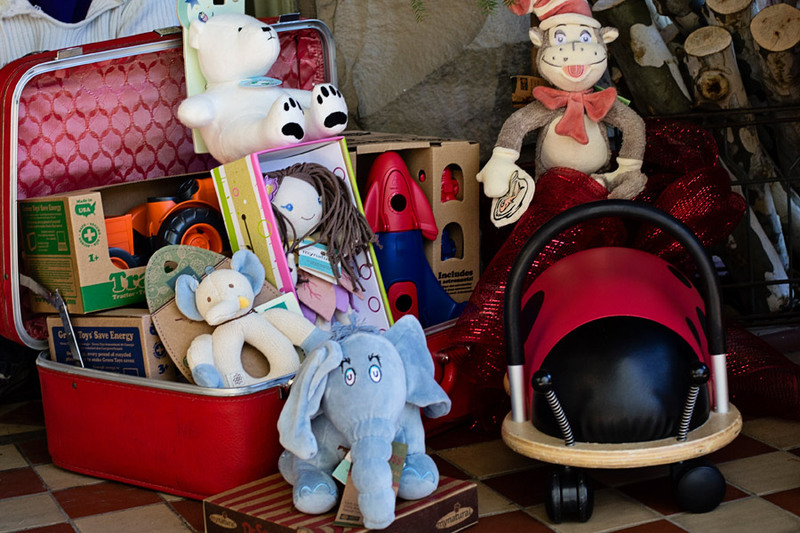 They have a ton of gifts for everyone on your list, but we love the stuffed Cat in the Hat and Horton for kids. There are some gifts to give your kids that also give back to you. If your child is energetic and bounces off the walls let them try something different and wear them out a bit. Skyzone Indoor Trampoline Park in Springdale is perfect for little (and big) bouncers. 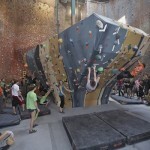 If you have climbers, try RockQuest in Sharonville. 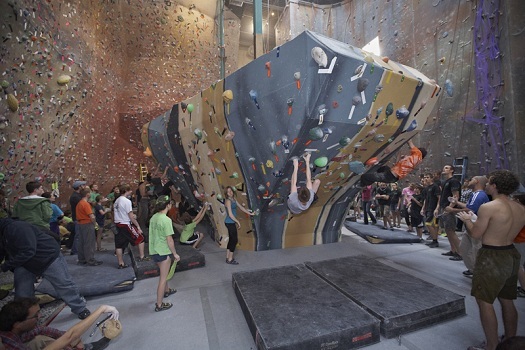 They’ll be able to try their hand at climbing some walls or, if you knowthey like it, sign them up for a winter camp. 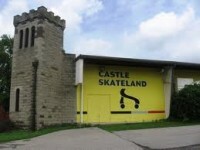 If your kids aren’t quite that adventurous but are very active, try Castle Skateland in Loveland. Skate around the largest skate floor in the Tri-State area. We know that you have to get gifts for people other than your kids, so here are a few ideas for the grownup kids in your life. Flow – a shop for men in Covington is a great place to get something for dad. Let the kids pick out a fun tie or socks while you get some of the real shopping done. Everybody’s Records in Pleasant Ridge has a great collection of CDs and Records, so you’ll be able to find something for the music lover in your life. 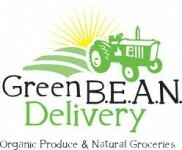 A gift certificate to Green Bean Delivery makes a great gift for friends and family who like local, organic produce and groceries. Make their lives easier by letting them try the home delivery service on you. Grateful Grahams make great holiday gifts to friends and neighbors. Let them take care of the Holiday baking, and order a few bags to give out as holiday treats. Let us know if we missed any of your favorite local stores.